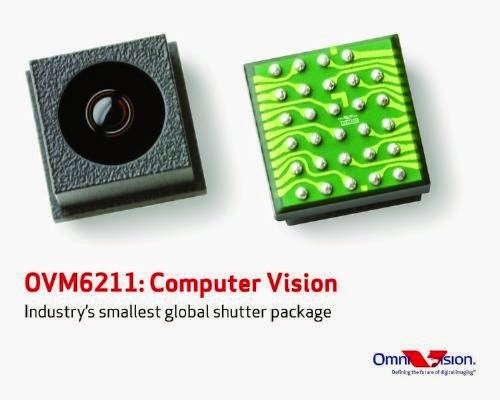 Are there any other global shutter Cmos image sensors around with a pixel size below 4um? Aptina presented a 2.8u global shutter pixel at IISW 2013. I don't know whether it is in mass production or not.. Thanks Adi. There are Aptina sensors with 3.75u global shutter (in the OnSemi sensor list posted today) - in the 1MP range, also a few days back there was a post here about an Omnivision sensor in that range with even smaller resolution. I think I have to change my question... to "are there <4um global shutter cmos sensors with >4MPix"? Sensors like Cmosis CMV4000 or Onsemi Vita are above/around 5um. (We have a machine vision application, the optic-side parameters ask for about 3-4um with >4MPix...)? I have TM the same commercial name many years ago...Interesting. I am wondering why they didn't publish shutter efficiency data, the most significant specification for global shutter sensor.